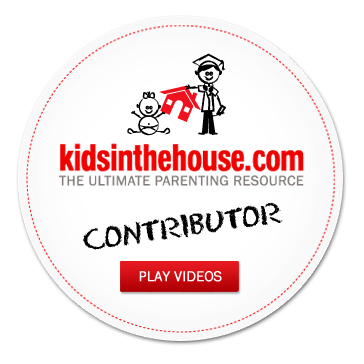 Blogs, Blurbs and Conversation Archives - Madeline Levine, Ph.D.
Madeline Levine is proud to join Kids in the House, the Ultimate Parenting Resource. Visit their website to view all of Madeline's videos. Expert tips on how to recognize your child's stress and help them cope. Throughout the summer, The Takeaway has covered parenting and the notion of “having it all” from a number of approaches — from women, from men, and from those who think having it all is the wrong thing to shoot for. How do children fit into this equation? How do they feel about parents who want everything — not just for themselves, but for their kids? Do parental high expectations get kids excited for a future of academic and personal achievement, or lead to other issues? For Levine’s latest book is, in fact, a cri de coeur from a clinician on the front lines of the battle between our better natures — parents’ deep and true love and concern for their kids — and our culture’s worst competitive and materialistic influences, all of which she sees played out, day after day, in her private psychology practice in affluent Marin County, Calif. Levine works with teenagers who are depleted, angry and sad as they compete for admission to a handful of big-name colleges, and with parents who can’t steady or guide them, so lost are they in the pursuit of goals that have drained their lives of pleasure, contentment and connection. “Our current version of success is a failure,” she writes. It’s a damning, and altogether accurate, clinical diagnosis. Oh My. Making babies smarter?? Can you think of any age that IS smarter? Look at what they learn in a few short years. And they learn because they are ATTACHED to you, they care about you, they have explored, and touched and tasted! Not because you're trying to make them "smarter." Heaven help us. Thoughts anyone? I was not surprised or outraged when I read Alan Schwarz's New York Times article on amphetamine use to boost grades. Anyone who has worked with teenagers these past few years is well aware of the abuse that is going on, regardless of predictable disclaimers from drug company officials or school administrators. The fact that the main abusers of amphetamines are high-performing students is perhaps not surprising in light of the fact that it is among the ranks of the most academically talented that cheating tends to be rampant.